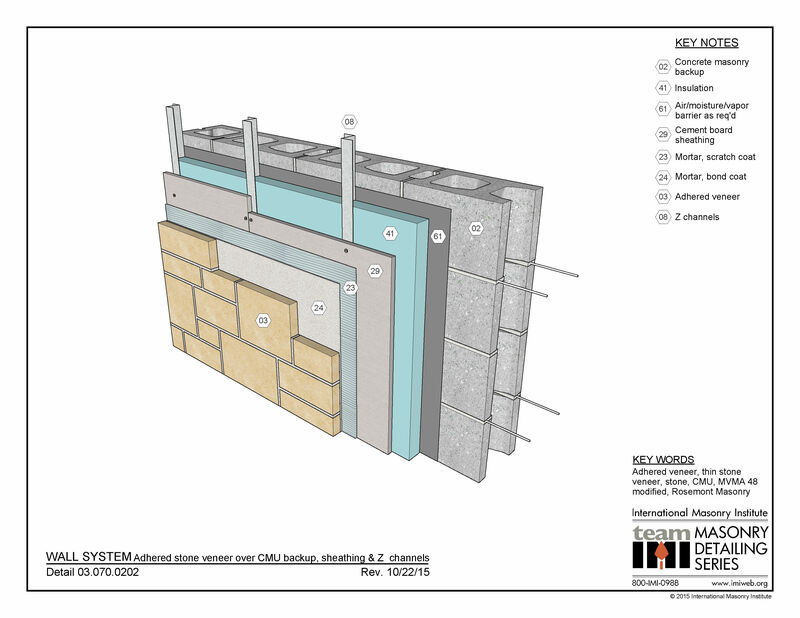 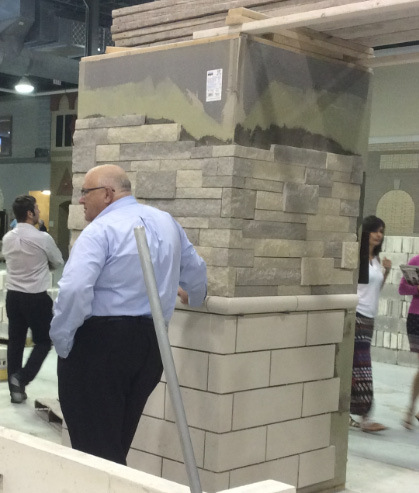 This wall system shows adhered stone veneer over concrete masonry backup with sheathing and Z-channels or Z-girts. 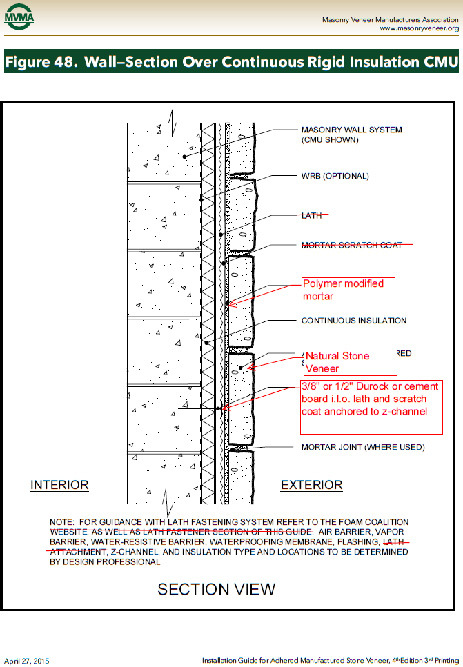 Rigid insulation resides between the Z-channels. 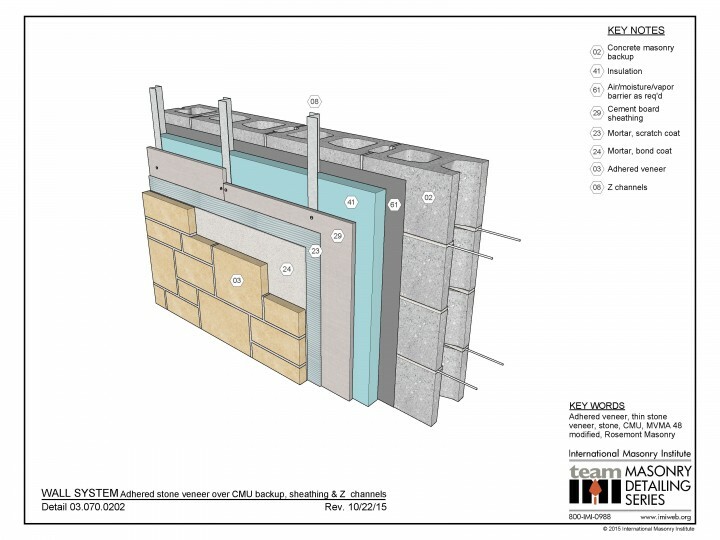 Cement board sheathing is mechanically fastened to the Z-channels, and the thin stone veneer is bonded to the sheathing with a base coat and bond coat of mortar.